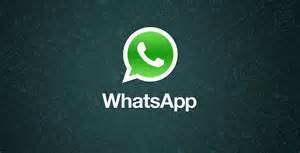 J&K Government, in India, has made it mandatory to get License to be able to run Whatsapp Groups. The circular was released by the District Magistrate of the Kupwara district, mentioning that all the Whatsapp Groups’ admins have to register their groups with the magistrate. This has come in the wake of two recent incidents that have recently happened – 1) Whatsapp recently announced that all their messages will be encrypted and no one (even Whatsapp!) will not be able to read their messages. 2) Apple saying No to FBI to decrypt the iPhone of the suspect in one of the recent US firings. Government is trying to keep a close tab on all the activities that can lead to any unwanted incidents. This notification also said that the government will be keeping an eye on all the messages sent on Whatsapp Groups for anything that is offensive, irresponsible or leading to any untoward incidents. The notification goes on and warns Government employees against making any remarks or leaving any comments over the matter.